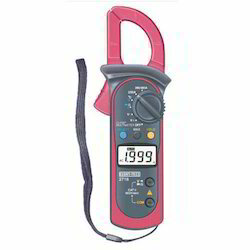 Wholesale Trader of a wide range of products which include clamp meter tong tester, digital tong tester, tong tester and clamp meter. 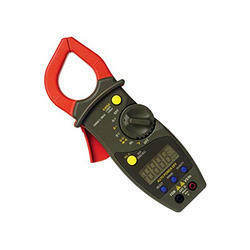 We offer diverse range of Clamp Meter Tong Tester in the market. 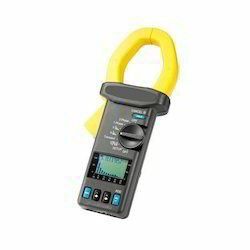 Clamp Meter is an eletrical tester having an AC clampmeter and voltemeter for testing the flow of electricity current in a conductor. 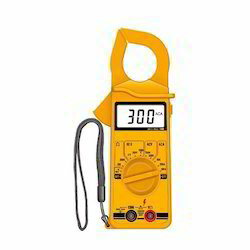 Clamp Meters are available with small sized cords for testing the flow of electricity current in the electrical appliances. These testing devices measure various parameters of AC current like continuous or break up power supply, flow level, wire connection and many more. Since we have established our base in this highly competitive industry, we are readily engrossed in the arena of presenting an inclusive variety of Digital Tong Tester. Using best class basic material along with urbane tools, these are manufactured beneath the administration of skilled executives. Measure DCA & ACA on the inductive conductor. Wide ranges ( 1000 A, 200 A ) for ACA/DCA measurement. Multi-functions for ACA, ACV, DCV, OHMS, Diode, Continuity beeper measurement. LCD display allows clear readout even at high ambient light level. Measurement & Range: ACA, DCA, ACV, DCV, Resistance, Diode, Data hold, Peak hold. Current Sensor: Half effect sensor. Max. Conductor Size: 32 mm (1.3 inch) Dia. Keeping in mind the varying necessities of our patrons, we are readily involved in bringing forth a comprehensive variety of Tong Testing. Designed exquisitely; these are enormously treasured owing to their eminent finish and reliability. More to this, these are tested rigorously prior finally getting dispatched. Resistance 200 /20 KW, Audio and Visual Continuity check and Diode test Jaw Opening size 2”. So as to become a preferential business name, we are thoroughly engrossed in shipping an inclusive collection of Digital Tong Tester. The material used in the manufacturing process is of finest quality and is tested before getting used. More to this, their sensible rates have earned us enormous appreciation in this business. Digital display with maximum 4000 counts. With an intention to enhance the standing we have built, we are occupied in offering a wide collection of Clamp Meter. Under the supervision of trained personnel, these are made with utmost precision. Moreover, these can be changed to meet with the varying needs of our customers. 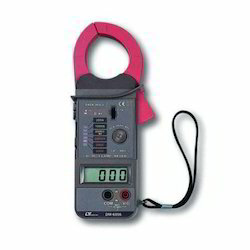 Looking for Clamp Meter Tong Tester ?